The Obama administration already proposed having insurers cover the costs of contraception for religiously affiliated nonprofits, but the groups balked at the compromise. 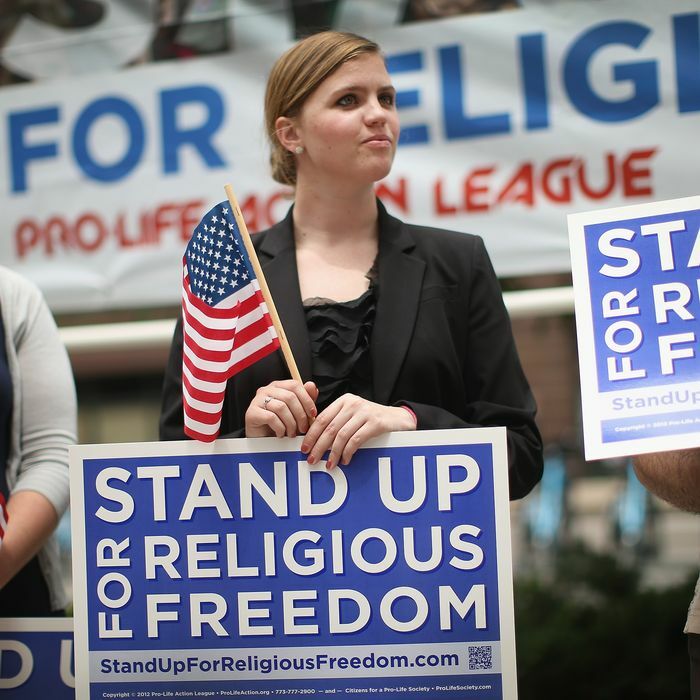 The legal challenges from various nonprofits are still working their way through lower courts, and legal experts are divided on whether the Supreme Court’s comments on Monday mean that they believe the compromise provides enough protection for religious groups. In the meantime, congressional Democrats seemed happy to take up the fight. Senator Tom Harkin, an Iowa Democrat, said he and his colleagues “will be exploring legislative remedies to ensure that affordable contraceptive coverage remains available and accessible.” “If the Supreme Court will not protect women’s access to health care, then Democrats will,” Senate Majority Leader Harry Reid said in a statement. “We will continue to fight to preserve women’s access to contraceptive coverage and keep bosses out of the examination room.” Majority Whip Richard Durbin made the first specific legislative proposal, saying he will introduce a bill that requires corporations that seek to limit contraception coverage under the new ruling to disclose their policy to employees. Republicans had a similar reaction, though they were cautious about celebrating too much and giving Democrats more fodder for their claim that conservatives are waging a “war on women.” They painted the decision as confirmation of Obama’s executive overreach, and used it to revive their complaints about Obamacare. According to The Wall Street Journal, a Republican National Committee fundraising appeal declared “Obamacare defeated,” though contraceptive coverage wasn’t central to the law. As McClatchy notes, a recent Bloomberg poll found unemployment, jobs, and a decline in real income were the top concerns of 44 percent of Americans, while health care was a distant second at 17 percent. Regardless, both Republicans and Democrats think the issues raised by the Hobby Lobby ruling can mobilize their base, so the debate over religious freedom versus expanding women’s access to birth control is likely to remain a top concern for politicians — at least through November.